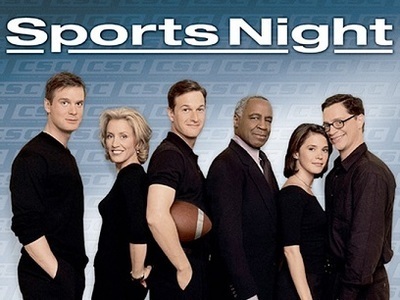 This half-hour comedy focused on the staff of a cable sports news program called "Sports Night". As the anchors and producers duck and weave through their career goals, workplace romances, rough divorces, and a love/hate relationship with professional sports, the power-plays on the court, in the office, and behind closed doors create a dynamic environment. The show had 2 seasons and 45 episodes air between 1998 and 2000. Bidders drop out of the auction for Continental Corp., which causes concern for the future of the ""Sports Night"" team. Meanwhile, Casey prepares to look for new work without Dan, who is reunited with a familiar face from his past.